NEW YORK, NEW YORK (March 5, 2019) — Following solo and concerto performances at Queens College’s Karol Rathaus Festival last month, Polish-Canadian pianist Daniel Wnukowski (vnoo-koff’-skee) further champions the music of this long-neglected Galician-Jewish composer with the launch of a recording cycle of Karol Rathaus’s complete works for solo piano. The project, spanning four volumes on Toccata Classics, is an extension of Mr. Wnukowski’s advocacy for music suppressed by the Nazi regime, and all of the works on Volume 1 appear on recording for the first time. Volume 1 features the recently rediscovered Piano Sonata No. 2, Op. 8 (1924; rev. 1927), as well as Five Piano Pieces, Op. 9 (1924), Three Mazurkas, Op. 24 (1928), two pieces from Rathaus’s ballet Der letzte Pierrot (‘The Last Pierrot’)(1926, arr. 1927), and three excerpts from his film music for Der Mörder Dimitri Karamasoff (‘The Murderer Dimitri Karamazov’) (1931), the commissioning of which marked the first time a composer of ‘serious’ music was approached to write for a film with sound. The album also features liner notes by Dr. Michael Haas, a four-time Grammy Award-winning record producer and the director of Vienna University’s Exil.Arte Center. Volume 1 is released on Friday, March 15, and pre-orders are currently available via Amazon. 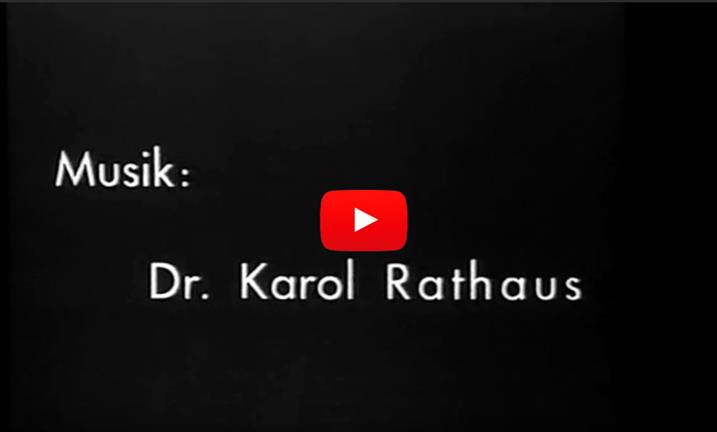 Little-known today, composer Karol Rathaus (1895–1954) was a protégé of Franz Schreker and built a successful career in Berlin before fleeing in 1932 due to the deteriorating political situation in Germany. He first migrated to Paris, then to London in 1934. He settled in New York in 1938 and joined the music faculty of Queens College two years later as its first professor of composition. The Expressionist ballet Der letzte Pierrot was Rathaus’s first major success and was premiered under George Szell at the Berlin State Opera in 1927. The popularity of the work led the composer to make arrangements of the Valse sentimentale and Tanz der Arbeiter (Dance of the Workers), both of which are performed by Mr. Wnukowski on the recording and in the video below. Performed on November 24, 2017 for New Classical 96.3 FM in Toronto. In 1930, Rathaus was first approached to compose for the cinema, and over the next two decades he scored 17 films in Berlin, Paris, London, and Hollywood. His film career began with Der Mörder Dimitri Karamasoff, director Fjodor Ozep’s 1931 adaptation of Dostoyevsky’s The Brothers Karamazov. Rathaus was a high-profile figure in Berlin at the time due to the scandal surrounding his opera Fremde Erde, and according to Dr. Haas in his liner notes, “Ozep was so taken with the idea of having a ‘serious’ composer provide a score that his film was shot to fit Rathaus’s music.” Later, Bernard Herrmann described this score as “one of the most imaginative achievements in sound film.” The excerpts on Mr. Wnukowski’s recording are Rathaus’s arrangements of ‘Gruschenka’s Song,’ ‘Song of the White Swan,’ and ‘Bei den Zigeunern (‘With the Gypsies’). 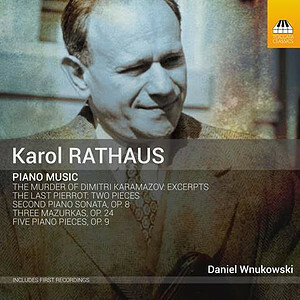 Release dates for Karol Rathaus: Piano Music Volumes 2, 3, and 4 to be announced. In addition to the music of Karol Rathaus, Mr. Wnukowski has recorded works by Austrian-Jewish composer Walter Arlen and Polish composer Józef Koffler, both of whom were victimized by the Nazi regime. Mr. Wnukowski recorded Koffler’s Piano Concerto, Op. 13 with the Polish Sinfonia Iuventus Orchestra under Christoph Slowinski, and has recorded Arlens’s complete piano works, as well as his chamber music with violinist Daniel Hope, soprano Rebecca Nelsen, and baritone Christian Immler. Mr. Wnukowski has also recorded the music of Chopin and Szymanowski and has appeared on DVD performing Gershwin’s Rhapsody in Blue with the Warsaw National Philharmonic conducted by Jerzy Maksymiuk, a performance that was originally broadcast live on Polish television. His performances have aired on radio and television stations throughout the world including CBC Radio, Polish Radio 2, Rai Uno, and WGBH Boston. 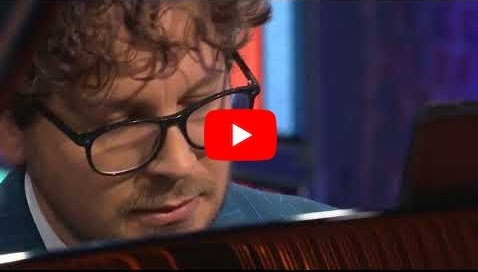 Daniel Wnukowski is a Polish-Canadian pianist whose insightful interpretations of the classics are complemented by projects that shed light on overlooked corners of the repertoire, particularly those that connect with his Polish and Jewish cultural heritage. He has performed throughout the Americas, Europe, and Asia in many prestigious concert halls, including at the National Philharmonic in Warsaw, the Concertgebouw in Amsterdam, the Salle Pleyel in Paris, Wigmore Hall and the Barbican in London, and the Accademia di Santa Cecilia in Rome. In addition to championing the music of interwar Jewish composers, he has an affinity for the music of Frédéric Chopin and other important Polish composers, having performed at Chopin societies around the world and won the 2000 Polish National Fryderyk Chopin Piano Competition.